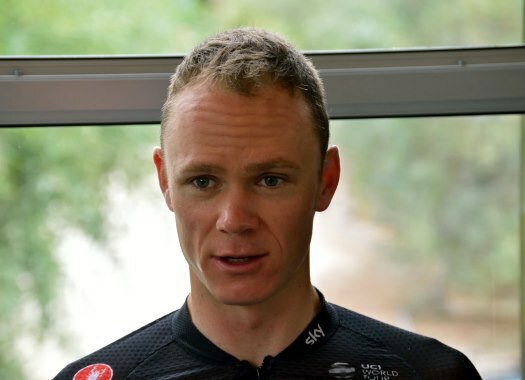 Chris Froome (Sky) finished the first stage of the 101st Giro d'Italia in the 21st position after finishing at 37 seconds from Tom Dumoulin at the first individual time trial of the race. It was an eventful day for the British rider due to a crash during the recon ride in the morning. "I just lost the front wheel in a corner. I was testing a corner at race speed, at around 20 or 30kph," the rider explained. "A crash is always going to hurt but I’m just glad it wasn’t more serious. Obviously, I saw what happened to Kosta (Siutsou) who is in hospital, so I’m just glad I’m not more injured after today. That’s bike racing though and all part of the sport." But despite losing 37 seconds on one of his direct competitors in the overall classification, Froome is not worried. "I’m not relying on TT’s to try and win this Giro with Tom here," he commented. "He did a great ride today, to come here and win out of the box like that is seriously impressive. Congrats to him. "Obviously Rohan Dennis and Tom were the two guys who gained time today, but there are other GC guys there or thereabouts. There’s a long way to go and it’s good to be here and get the racing underway."